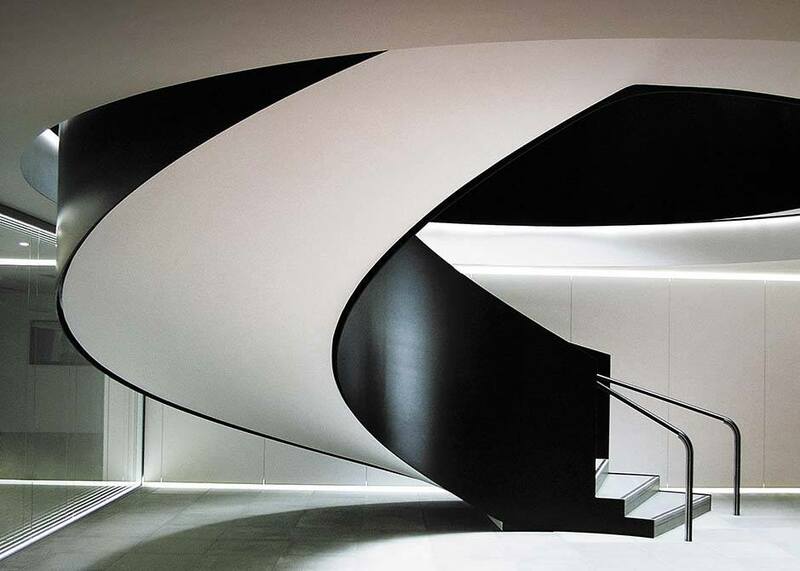 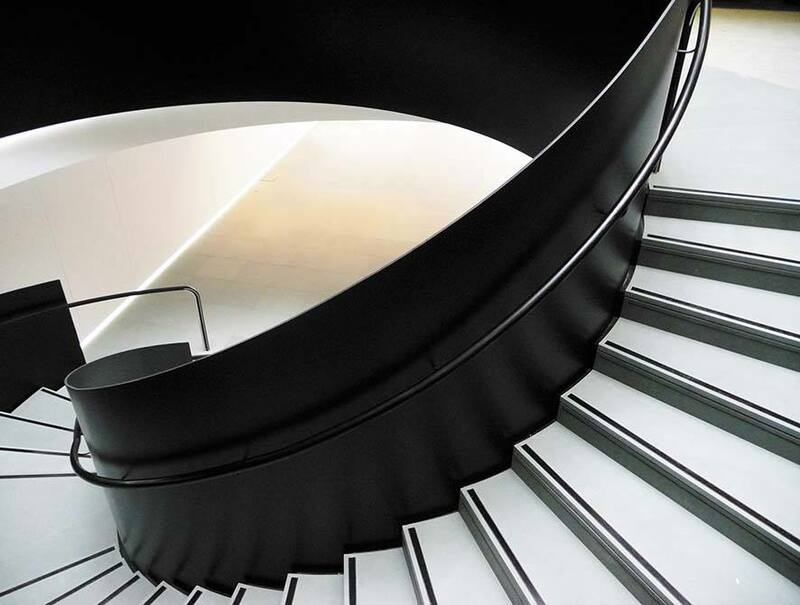 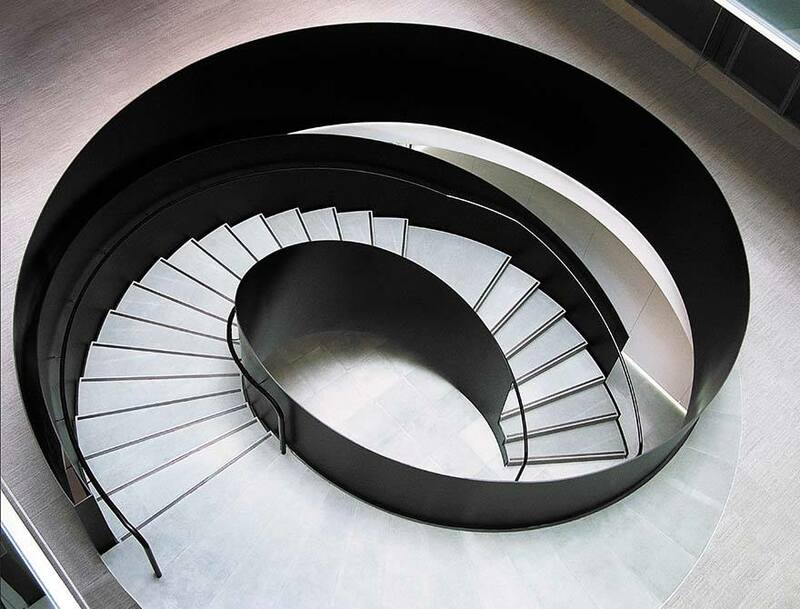 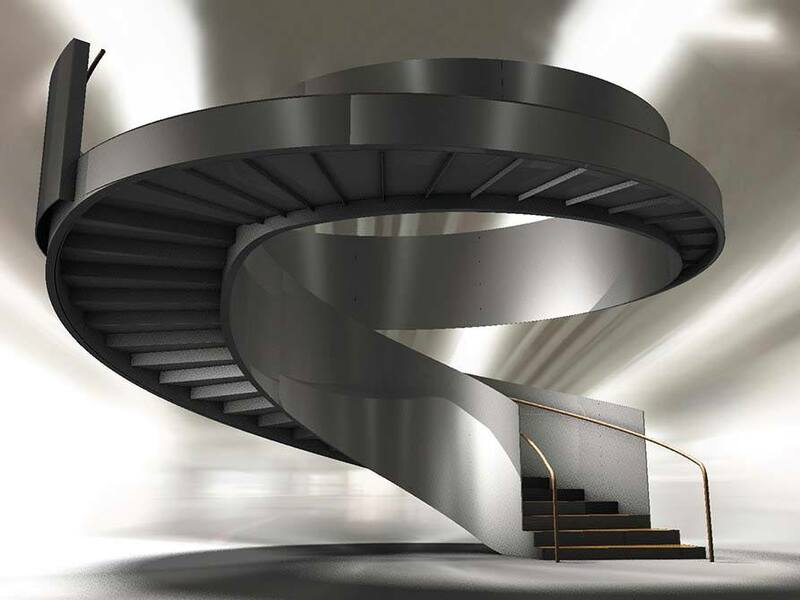 The architects, ORMS of London, set a tough task; to design a magnificent commercial helical staircase completely unsupported from below. 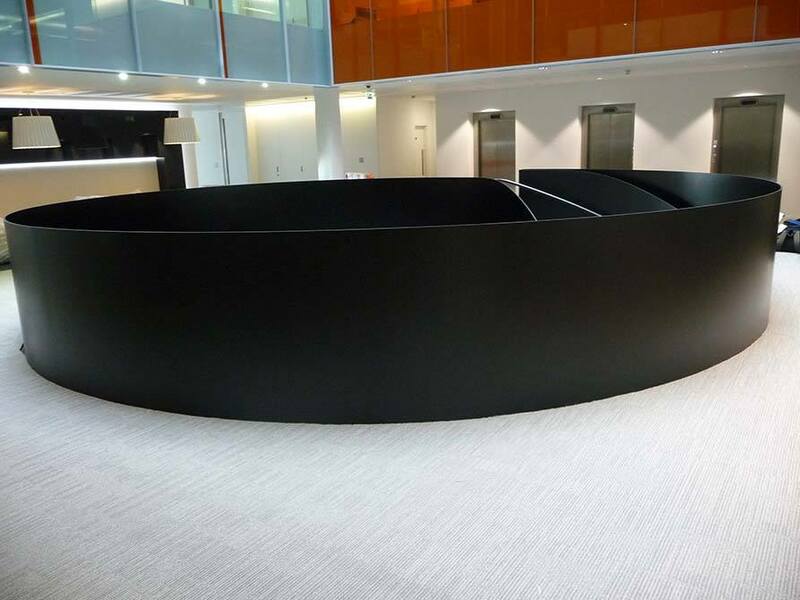 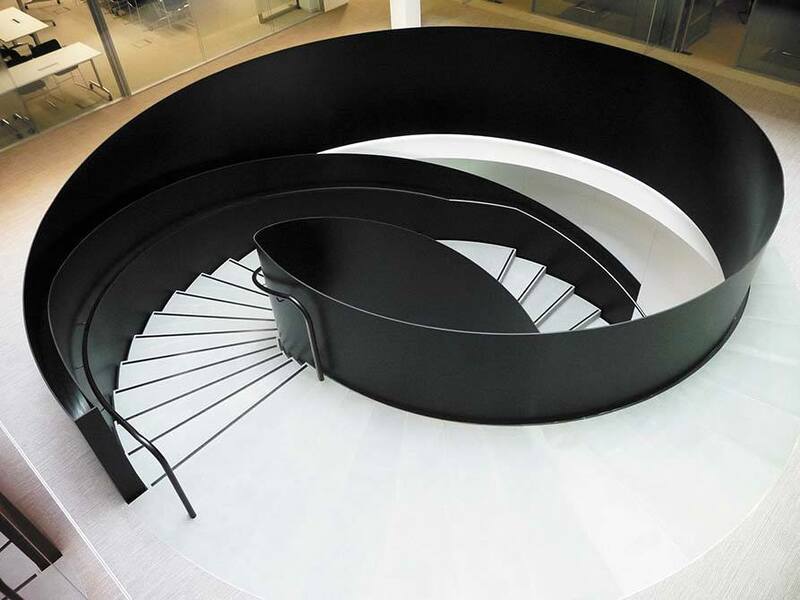 This incredible staircase is now complete and taking place in the Jersey office of International Corporate and Finance Law company; Ogier. 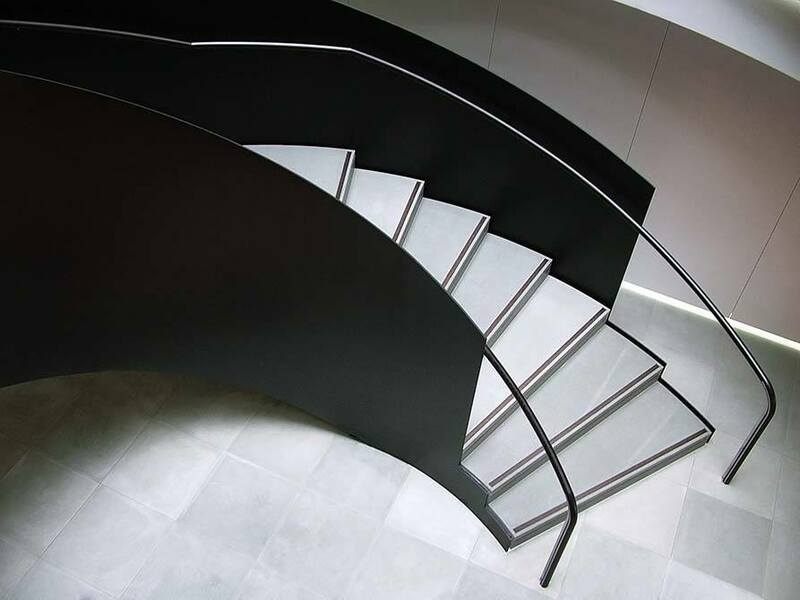 The challenge was to get the right combination of strength as well as achieving gorgeous lines. 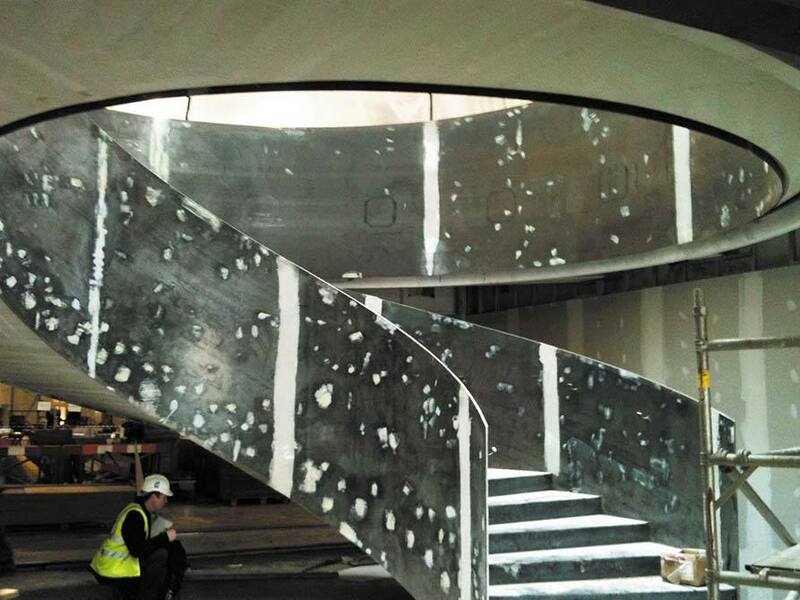 In the Nottingham workshop, the fabrication of the 12mm thick steel plate began for the balustrading around the top of the stairwell. 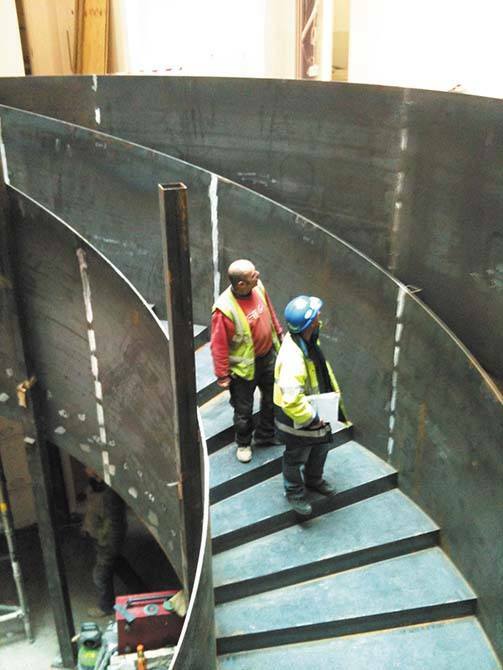 The installation team fully welded the structure together as a result of preventing any defects occurring: This will give you some idea of the enormous task faced by the Canal Architectural installation team. 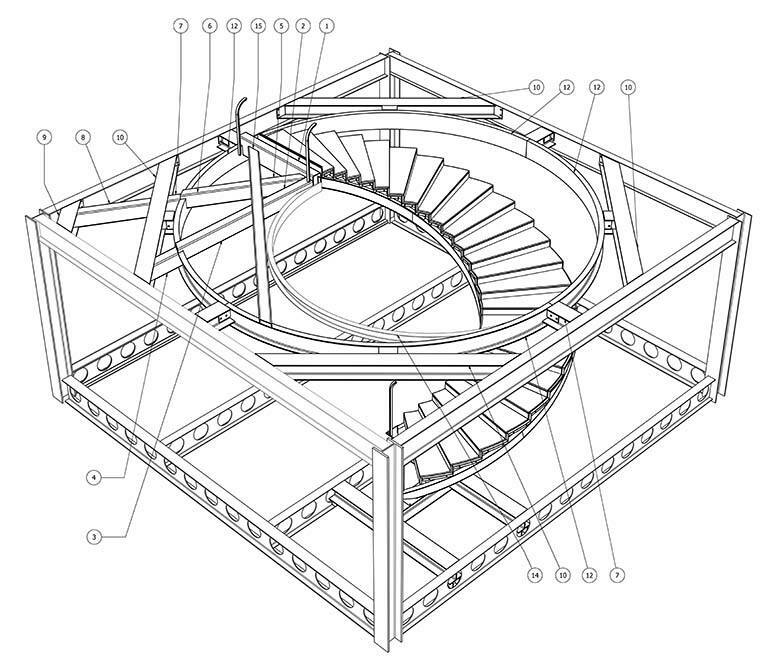 Structurally this was even more difficult as the atrium ascends to a square opening; much bigger than the staircase diameter. 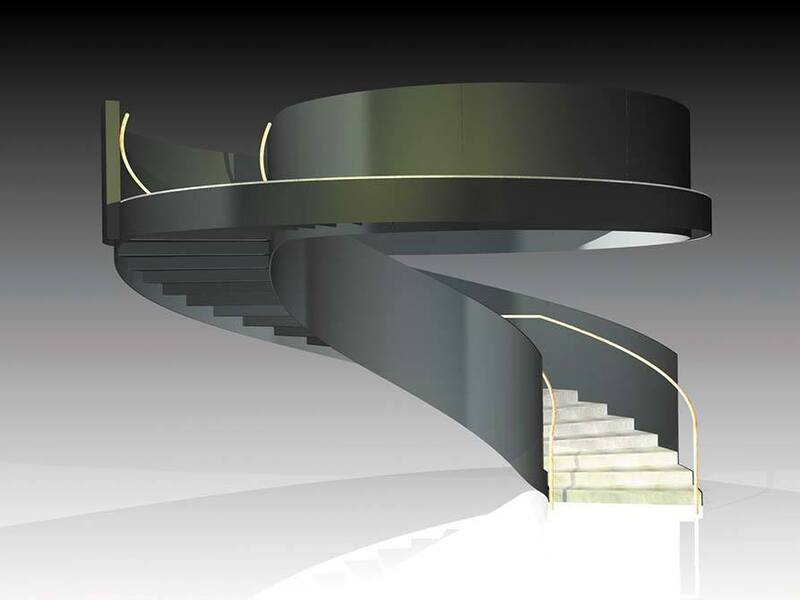 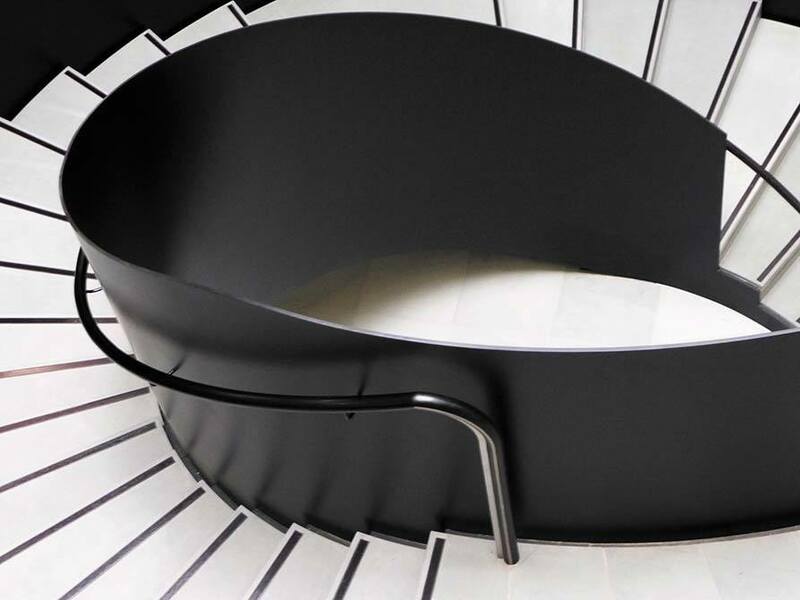 Without compromising the integrity of the design the upper floor needed to be decked out with architectural steelwork; creating a circular opening strong enough to support the load of the floating staircase. 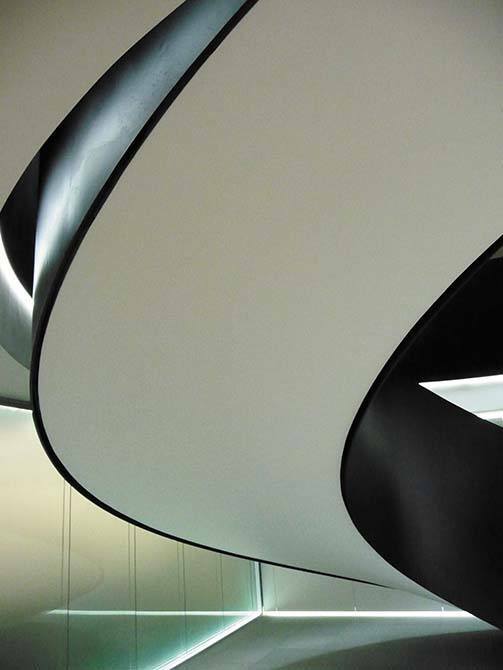 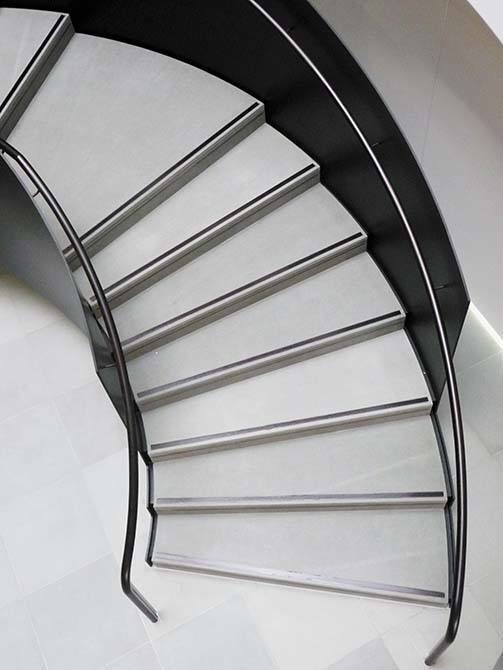 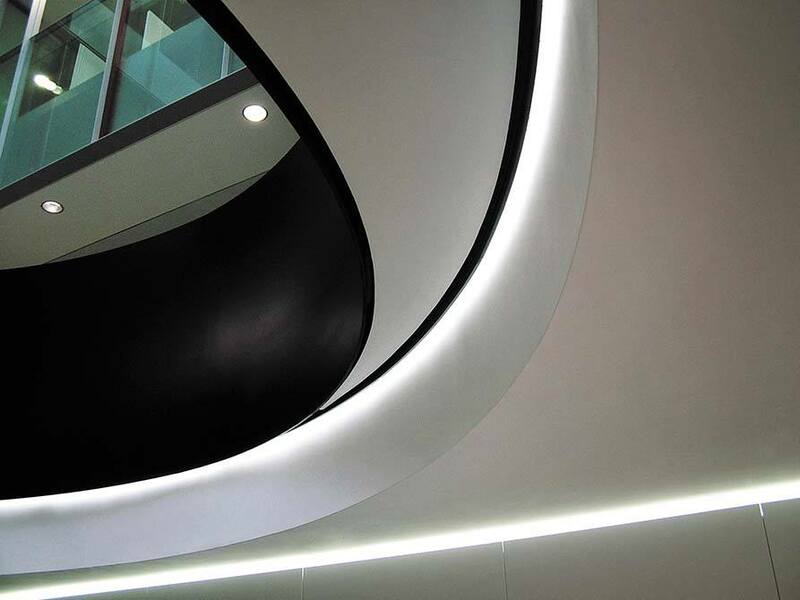 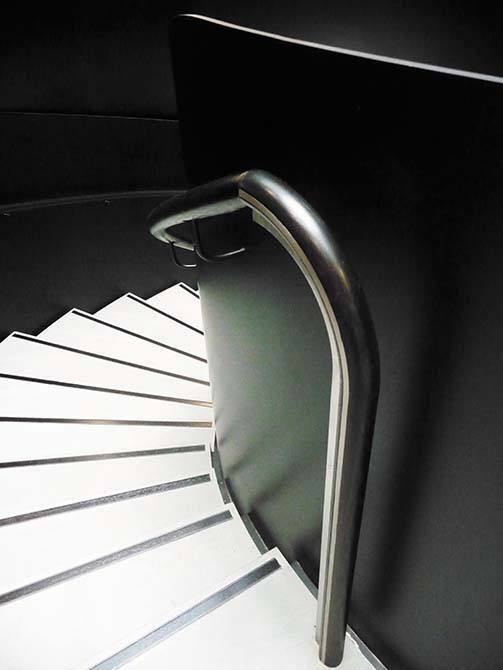 Working closely with Milk Structures, Canal completed this staircase to the highest standard as well as making it one of the most recognised projects of the company.